"Excellent tool that you can develop as a team and get good prototypes"
"I can create my UX prototypes with great ease and make them interactive"
"Pidoco, aprende rápido e iníciate en las aplicaciones wireframes." Con Pidoco se trabaja en línea, directamente desde un navegador, sin tener que hacer confusas instalaciones en tu dispositivo. Es muy fácil empezar a crear tus primeros logotipos, o prototipos de aplicaciones web. Puedes incluso probar de forma gratuita la aplicación. Pidoco es muy intuitivo, y se hace divertido indagar en las diferentes ideas de diseño ofrecidas. Usuarios más profesionales podrán adquirir ventaja de sus conocimientos previos y hacer uso de las capas. Pidoco funciona en línea, al igual que muchas otras aplicaciones en línea, presenta la desventaja de que es totalmente imposible trabajar con ella mientras no tenga conexión, como en el tren o en el avión. Otro aspecto negativo es que si trabajas con páginas de gran complejidad, con varias otras páginas de profundidad, Pidoco se puede quedar corto. Pidoco es muy intuitivo, totalmente recomendado para aquellos que quieran hacer pruebas de usabilidad de la interfaz de una aplicación o página web antes de desarrollarla en su versión final. Es decir, es para crear prototipos o wireframes. Nosotros utilizamos Pidoco en los cursos de diseño de aplicaciones web, como paso previo al desarrollo HTML5 y CSS, ya que pidoco nos va a permitir revisar el estado final de la web sin tener que llegar a construirla primero. Así es mucho más fácil comprobar el funcionamiento de la interfaz y realizar pruebas de uso, y comprobar la adaptabilidad a los diferentes dispositivos móviles a la hora de visualizarse. "Pidoco is a great tool to design quickly"
There isn't much I dislike, really, and I had to rack my brain a little. I think I dislike the simplicity the most because I am an advanced user. I feel this would be a bonus for new users just learning though. If you are new to prototyping and are not sure where to start or what program to use I highly suggest using Pidoco for its ease of use alone coupled with the face it's got a lot of features to work with. There is a free trial and a free user account to get you started. The benefits I see with Pidoco is the ease of use and the fact that it can go anywhere and be used anywhere on the website with just about any device it seems. I can create mockups in real time very easily while meeting with clients in person. Es una magnífica herramienta para realizar diseños enfocados a tiendas de venta online. Sin duda la recomiendo puesto que la facilidad de uso es muy grande y el soporte que tienen es muy bueno, siempre están dispuestos a ayudar. La interface que tienen es muy intuitiva y es fácil de utilizar. Recomiendo esta herramienta a todo el mundo que quiera inicializarse en el diseño de webs online para venta. Hemos probado otras herramientas y sin duda podemos decir que esta es la mejor de todas. Creemos que es la más completa en cuanto a interface, soporte y facilidad de uso. Sin duda la recomendamos a todo el mundo que esté en nuestro mismo gremio y desee una plataforma fácil y sencilla para realizar un diseño de su web online. Volveríamos a apostar por esta aplicación! Hemos conseguido ganar tiempo a la hora de diseñar. Sin duda es magnífico para todo el mundo. En nuestra empresa estamos muy contentos y creemos que es el mejor programa existente de los que hay para este tipo de diseños. "Fast way for Lo-Fidelity Wireframes"
Its proficient and quick to use if you need a lo-fidelty wireframe stat. I like the sketch design onto the prototype so it makes it look like paper to device transfer. You can also export your prototypes and wireframes to users for testing. There is no rotating options if I wanted to flip a symbol. If you want something that it easy to use and need a wireframe outline quickly I would recommend this. If you are looking for something to use in High Fidelity Wireframes this is not the program for you. Getting the wireframes set up quickly without the hassle of drawing from paper to device. You can do it on the program itself. "Excellent design and programming tool. " You feel the enthusiasm in the use of this design tool for various strategic tasks. It contains elements that base its design logic based on an ascending virtual programming. Quality in the implementation and correct use of virtual dynamics. It lacks programmatic and virtual contents. It contains elements that are considered unnecessary for its use. Rather, it would be to simplify the tools in just one to optimize the proper use of the software. It is an exclusive designer product. It is recommended to use it for organizational purposes. Design user network construction for internal events within the organization. "wireframing made easy in a drag and drop interface "
This app saves time when concepting a website, app or cms system because of its easy drag and drop interface. It offers a wide range of pre-built design items and concepts. since its a european based company support can sometimes take a day or two. Not a big problem but when needing immediate assistance it can be a little frustrating. It allowed us to present concepts to clients pre-design and prototyping. It also helped greatly when conceptualizing design with offshore development and design teams. That it produces sharable URLs that you can send to user testers to try on their own. Also, some of the elements could be interacted with (ie. you can actually check on and off a check box). I found it cumbersome to work with and limited in the amount of templates it offered. Also, when you would specify that you were mocking up a mobile experience suddenly a bunch of the templates would be different or missing. I really wanted it to be more flexible and less prescribed. Mainly used Pidocco for wireframing. It made it easy to share wireframes with colleagues and user tests. Ease of use, quick to get started, page linking, online sharing, custom templates, very focused solution. I love that there are not too many distracting features in the UI - it's very clean and intuitive. Another great benefit is the ability to view drafts directly on a mobile device and show them to others. The tool offers a lot of interactions that can be added to elements, but there could be even easier access to all the options. Maybe allow users to create interaction templates similar to the custom templates you can create in the stencil palette. They offer a full-featured free trial with 31 days time to test all relevant features. You can also invite other users during the trial period to test the collaboration features with you. Better communication with clients, quicker turn-around times. I have used Pidoco for a number of projects and found it to be an easy way to share designs with clients and ask them for feedback without the usual email pingpong. "Easy to use tool to quickly create click-through wireframes"
Fast and easy prototyping, clickable wireframes, remote usability Testing, real-time Collaboration. It really helps reduce cost and time with included tools. What I didn't like is there is no option for exporting to actual HTML to load a click-through web schematic to your own server or the client’s. A limited amount of templates unlike others . As I did myself who is always trying different software, go ahead a give it a try. It’s very quick and easy to use. The onboarding tool tips upon first-time launch were useful for new users. It’s easy to quickly construct a lo-fi wireframe or prototype. I like the options to select various device types/sizes. Lack of inherent stencils. Too lo-fidelity for many stakeholders to absorb designs. Use to create quick designs when you are in a time crunch. Quick and dirty lo-fidelity wires. May be good for brainstorming sessions or very agile processes. "Modern and Sleek Wireframing Tool"
I like best all of the UX features that I can add to my wireframes. It is essentially like creating an app without all of the background coding. I dislike the pricing as it is a bit steep, but this price does get you quite a lot of advanced features. I am solving the problem of customers being able to actually "use" an app that I am making for them. It perfectly mimics a real app without all the background work to get their approval. "Kind of easy to use"
Sleek interface, kind of intuitive but read more below. Not so user-friendly, had to look online for assistance. Just general every-day things design-y things. I think it would be better if they had more coherent customer service times as well as active and timely response to customer service questions. Not sure what they are. Also wish their website offered more things. Pidoco definitely helps me visualize stuff before we implement it which saves times, because sometimes we don't always get buys from the clients on the designs. Pidoco gas helped us reduces costs and save much need time, so we can meet deadlines. I love how the wireframes are fully interactive and configurable even down to Minor details. It helps to give clients a more clear understanding of how things work that sometimes would be overlooked. I understand it's a speciality site but the way it presents is more something anyone can pick up and it tends to lead users astray if they don't know or don't understand how tools work they tend to become limited. Pidoco has a simple, intuitive drag&drop interface. Context menus and context-sensitive toolbars make editing super quick. Not a local application, so you can't use it without being online. since fort time using still figuring out the good and the bad. "Excellent Prototyping Tool That Goes Beyond Simple Hotspot Linking"
I really like that this software is the only one I've found that goes well beyond simple hotspot linking and allows UI based interactions. I also like the "sitemap" feature. This is a clever innovative touch! My only gripe at the moment is that it is not always a speedy as I'd like. Compared to the standard of Saas products these days, it could be a bit punchier. "Using Pidoco in a teaching environment"
"User friendly, practical tool for designers"
Very user intuitive and speeds up my time with wireframing projects. Pricing seems expensive, wish the monthly fee was less for an increased number of projects. Collaborating with others (particularly in a global environment or remote setting) used to be a challenge. This tool allows us to easily preview elements and work asynchronously though the ability to tag team members on specific details. I designed everything very fast with just some simple steps. Pidoco has very useful tools that's not expensive and site also has trial plan to test. Limited amount of templates, the display is not very good to work with. Design web with some good tools. "Not great, but does the job"
Does what it says, lightweight, powerful. I wish this program had more features, and better user support. Give it a shot, but try their competitors as well. My favorite aspect is the ease of use of the Custom Templates. They make my work must easier! Finding a product that will streamline and speed up my employees work. 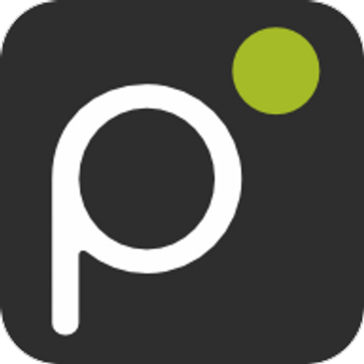 * We monitor all Pidoco reviews to prevent fraudulent reviews and keep review quality high. We do not post reviews by company employees or direct competitors. Validated reviews require the user to submit a screenshot of the product containing their user ID, in order to verify a user is an actual user of the product. Hi there! Are you looking to implement a solution like Pidoco?